"Simply Beautiful Homemade Cakes" is the cook book Ms. Goofy received from her sister, Shastina this Christmas. This may be the best Christmas present ever for Ms. Goofy. Well, maybe it is actually yours truly who benefits from this book of sweet delights. Ms. Goofy decided to give the Key Lime Cheesecake a test run for her first endeavor from this book and am I glad she did. This cake is rich decadent, and just what the doctor ordered. I cannot wait for Ms. Goofy to explore this book some more. P.S. I left a bookmark on the Baileys Chocolate Cheesecake recipe just in case. Thank you Paula for this book. 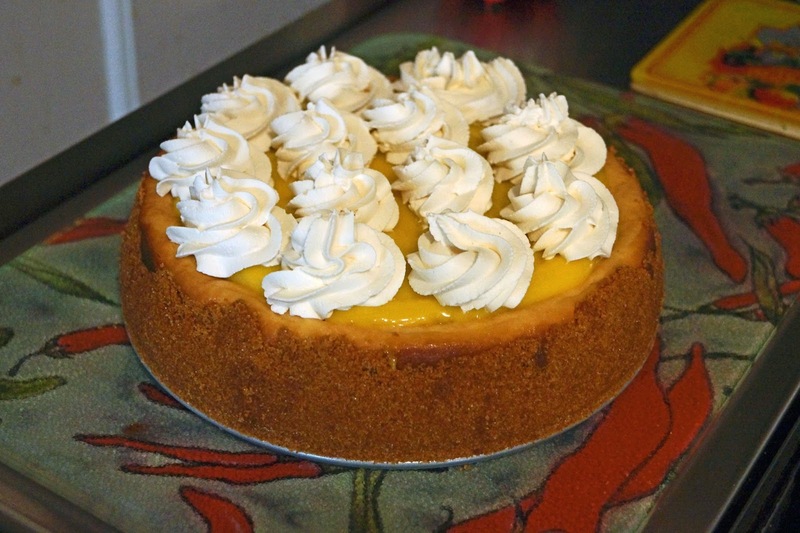 The next Key Lime Cheesecake is for you Sis! 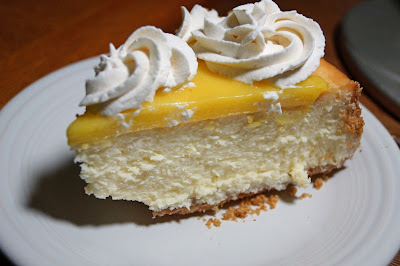 I love both key lime pie and cheesecake so I know I'd be all over this - think I'll go look for a recipe. Ms. Goofy, The Baileys Chocolate Cheesecake would be fantastic for your next cake. I only offer this suggestion because I know how much you would probably like this cake. really. Big Dude, The next time you roll through California I will ask Ms. Goofy to make you one.